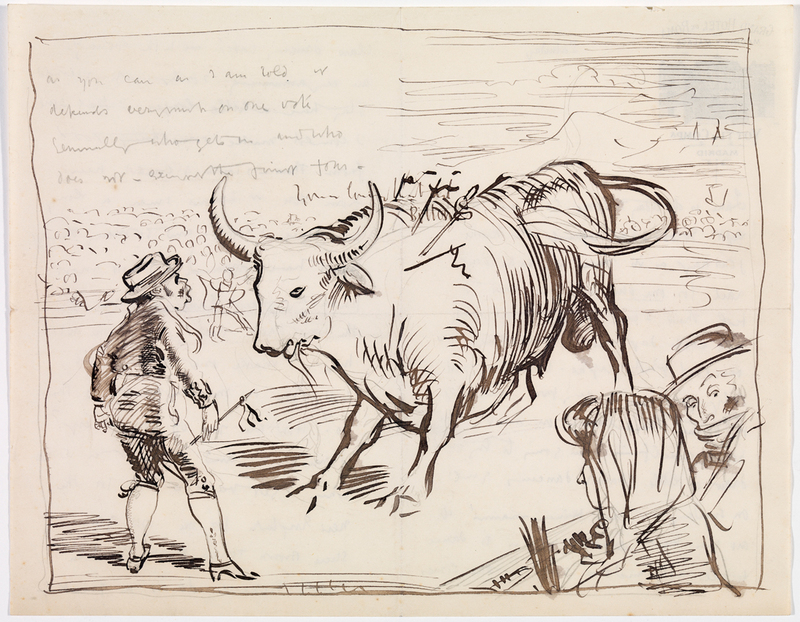 An archive of over 400 letters and drawings by Sir William Orpen (1878-1931) has been acquired by the National Gallery of Ireland in a deal brokered by Dublin auctioneers Whyte’s. 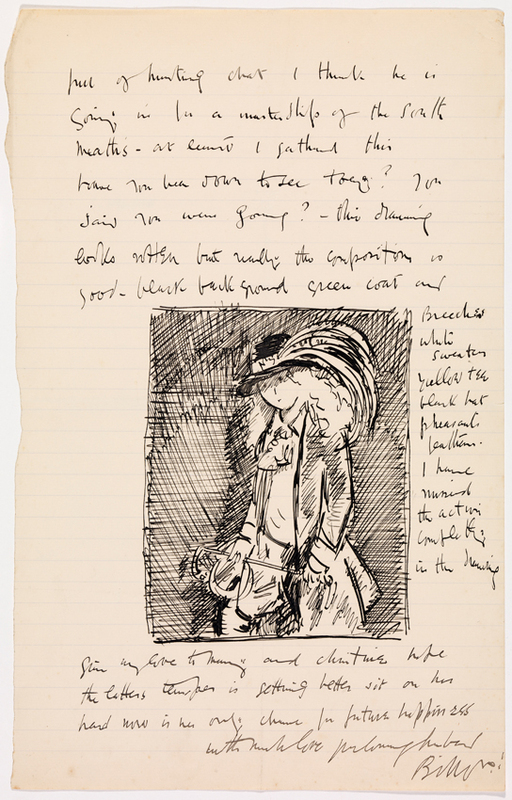 The collection was sold by a descendant of the artist who lives in England and comprises some 200 of the artist’s illustrated letters and 200 manuscript letters to his wife Grace Orpen. It also features finished sketches and drawings, sketchbooks, photographs and other memorabilia. 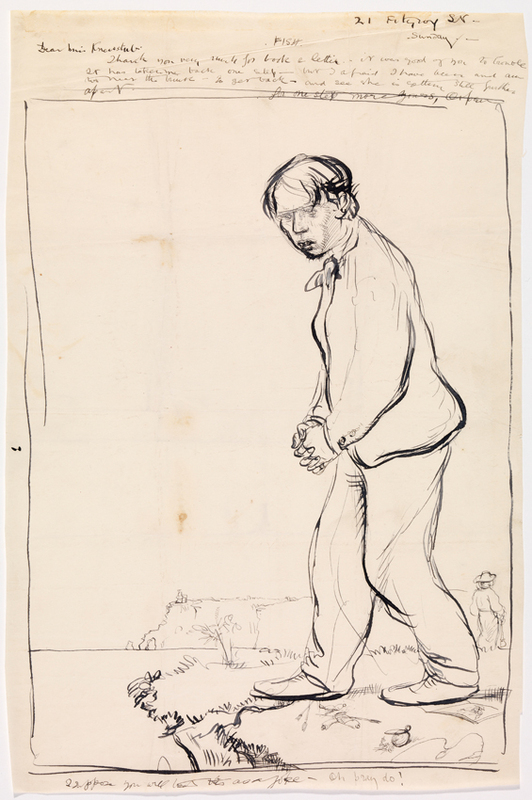 The works date from between c.1899-1928, ranging from the artist’s student years through to later life. Much of the collection has never been published although it had been previously loaned to the Tate in London. According to the Irish Times, the Tate had been keen to acquire the archive but the British government decided not to block its export. The article reports that the price paid was a substantial six-figure sum but that the amount paid was substantially less than its retail value thanks to the generosity of the seller. Ian Whyte also said that the auction house reduced its commission by 75% as a donation towards NGI’s acquisition.